It’s easy to think that in today’s digital age your business should be using every single social media channel, but this could in fact be damaging your brand. Using every social media channel out there is a waste of your time. This blog post is going to look at what you should concentrate in order to focus your digital marketing activities. It’s tempting to believe that using every social media channel has to be good for your digital marketing campaign. Why do so many of us fall into this trap? Perhaps you worry that if you ignore or abandon a platform, you might be missing out on potential business. Marketing managers might feel pressured to be active across numerous social channels, but having a weak or unloved presence can actually be more damaging to your brand than no presence at all. If you’re going to go social you need to be committed and do it well. No half-hearted profiles where you’ve registered then not posted for 6 months, you have to choose your medium wisely, then embrace its community with gusto. So how do you work out which social channels are the best for your business to focus on? Follow our simple steps, and save yourself time and money. There are a huge variety of social media channels available to your business. But we recommend using no more than three unless you have a lot of time and resources at your disposal. When it comes to social media marketing, think quality rather than quantity. Whatever your business niche, think carefully about where your audience tends to spend their time online. Younger audiences use Twitter, Instagram and Snapchat, whereas older audiences tend to be found on Facebook, YouTube and LinkedIn. Trends will also vary depending on the industry sector. Your business may not be suited to Instagram, but may have an avid Twitter-based audience. Your customers might reserve Facebook for private purposes, but have no problem engaging with you on LinkedIn. How do you find out which three are best for your business? We recommend listening. Speak to people you work with, speak to customers and do some searching on each channel to see if your competitors and potential clients are engaged with them or not. Perhaps you are already using more than three and you need to narrow down your selection. Can you discover which channel has the best audience? Look at Google analytics and see which drives the least traffic to your website. Look at the number of members in groups relevant to your business or which communities are the most active, asking questions and responding to comments. Once you have done your research, you’ll be in a stronger position to decide which three networks to focus on. Less really is more, don’t spread yourself so thin that you haven’t got the time to nurture the relationships you build or engage in the online communities. Now you have identified your three key channels, it’s time to start thinking about the types of content you should be sharing to make the most of them. The only way to stand out from the crowd is by sharing quality news about your company, or relevant content that your audience will genuinely want to engage with. This type of content takes time to gather and requires planning, preparation and collaboration. The most important factor in any content that you share is simple; it should be genuine, credible, factually accurate and fresh. Too many brands waste time re-sharing information that is irrelevant to their audience and has often already been over-shared. Businesses that succeed realise that whatever they do share, has to be (relatively) new, and seem in tune with their brand identity. A great example of this is General Electric’s Instagram account. Although GE is a giant American manufacturer, most famous for its production of trains, their Instagram account is full of exciting, interesting imagery and video that the GE audience loves to engage with. The pictures they share are relevant and contemporary, which is the best rule of thumb for any social media. The second factor to consider is the words you use. Words on social media are not the same as written reports, articles or blogs.Think of them as more like digital speech. Your social tone of voice can be formal, polite, or relaxed and fun, but whatever the tone, remember that the voice is a vocal one. Keep your utterances short and precise, calls-to-action should be clear and questions should be concise. You’re trying to engage an audience who are constantly being bombarded with news, opinions and marketing messages, so respect the fact that your customers are busy and engage them quickly, and simply. If language and credibility matter the most when promoting a brand on social media, they are closely followed by imagery. If you have actual news, or a story your brand cares about, or a new promotion to share, then you must use the right visual image or video to go with it. Sometimes pictures and videos are stories within themselves and require little explaining. Research shows that social content shared online with an accompanying image is 50% more likely to be shared, with video content having an even greater engagement rate. 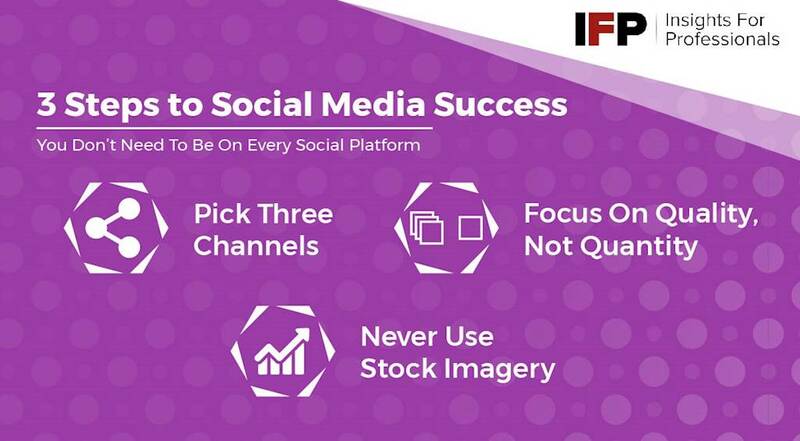 This means that for your brand, investing time and, yes, money, into securing the right visuals or video to share via your channels is a better use of your time than spreading your marketing staff across 10 channels, to share vague updates six times a day. Stock imagery is a digital no-no, and younger users prefer a grainier, more authentic feel. This means sharing your staff’s photos of a product, or event, is a better reflection on you than sharing a perfect picture that doesn’t seem realistic. Social media is all about people interacting, and ‘keeping it real’ is guaranteed to win you more support online. The gold standard is that of User-Generated-Content (UGC) where your fans become so loyal to the brand that they share their own pictures and stories which you can then re-use to promote your company. Starbucks’ #WhiteCupContest is a great example of this, where coffee lovers were encouraged to share images of hand-decorated coffee cups. This generated a huge amount of social media activity for a limited spend and masses of free video and imagery. What inventive way can you dream up to get your audience to engage with you? In summary. What are our golden rules for social media? Share valuable, genuine content that shows real stories that humanise your brand. Share less and focus your efforts. Think before you post. Your audience will thank you for it.